The Brembo high-performance braking system with four-wheel disc antilock brakes is a guarantee of safety and performance. Massive 15-inch rotors on the front with six-piston callipers and 13.8-inch rotors with four-piston callipers on the rear are red clad to show all their power. In addition to information like navigation and fuel economy, the 7” instrument cluster also provides SRT®-specific communications to enhance driving performance. G-force effects are instantly available as are performance measurements like 0-60 and quarter-mile times. Telemetry and real-time data aren’t reserved for the racetrack or dyno room anymore. 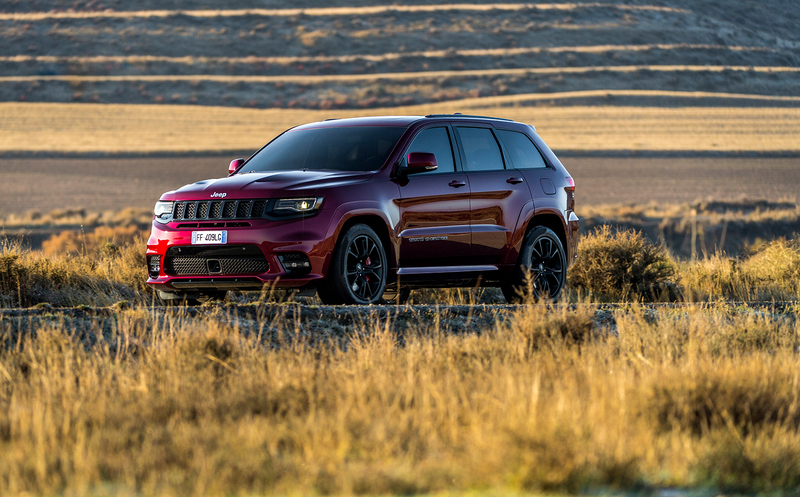 SRT® Performance Pages+ are displayed on the Uconnect® System’s 8.4-inch touchscreen and provide performance statistics like dynamic handling, braking, engine horsepower, engine torque and acceleration. SRT® Performance Pages will also track what’s happening under the hood with digital gauges that relay battery voltage, oil pressure, coolant and intake air temperature.